Happy Friday and Happy Super Bowl Weekend! In honor of the Big Game, I dusted off the classic book “Football Laughs” by Herman L. Masin which I purchased through Scholastic Books in 1972 for $0.60. (I see this little gem is listed on ebay for $4.98 which would translate into about a 5% annual return so maybe it was a decent investment. Sorry, the accountant in me is slipping out.) Below are a few football jokes you can share Sunday. 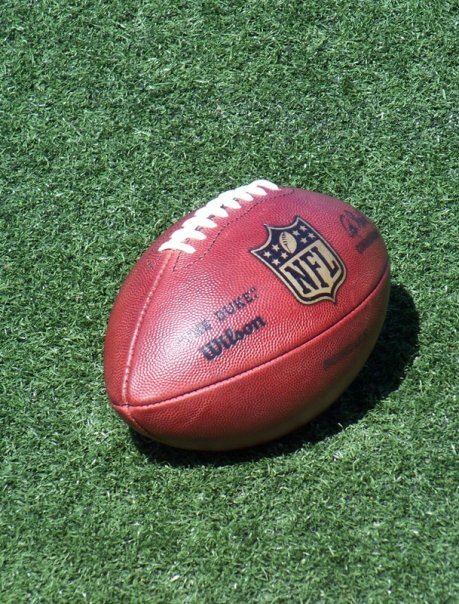 The teams were tied with two minutes to play when the coach sent in his second-string quarterback with a special play. After looking over the defense, the scrub called a play of his own. It went for a touchdown that won the game. After hugging the hero, the coach asked him what made him change the play. “But that adds up to 35,” said the coach. The big tackle came running off the field. “What’s the matter with you?” exclaimed the coach. The coach beckoned the official. “Because I caught him choking the opposing quarterback,” the ref said. This entry was posted in Friday Funny, Humor and tagged football on January 29, 2015 by Leonard. The educational benefits of television have been debated since the invention of TV. There have been many successful educational programs like “The Electric Company,” “Mister Rodgers’ Neighborhood,” and, of course, “Sesame Street.” These days you can watch kids shows 24 hours a day on a number of networks including PBS kids, Sprout, Nick Jr, and Disney Jr to name a few. But alas, my childhood was when the choices were much more limited. On a national level, there was Captain Kangaroo with sidekick Mr. Greenjeans in the mornings. 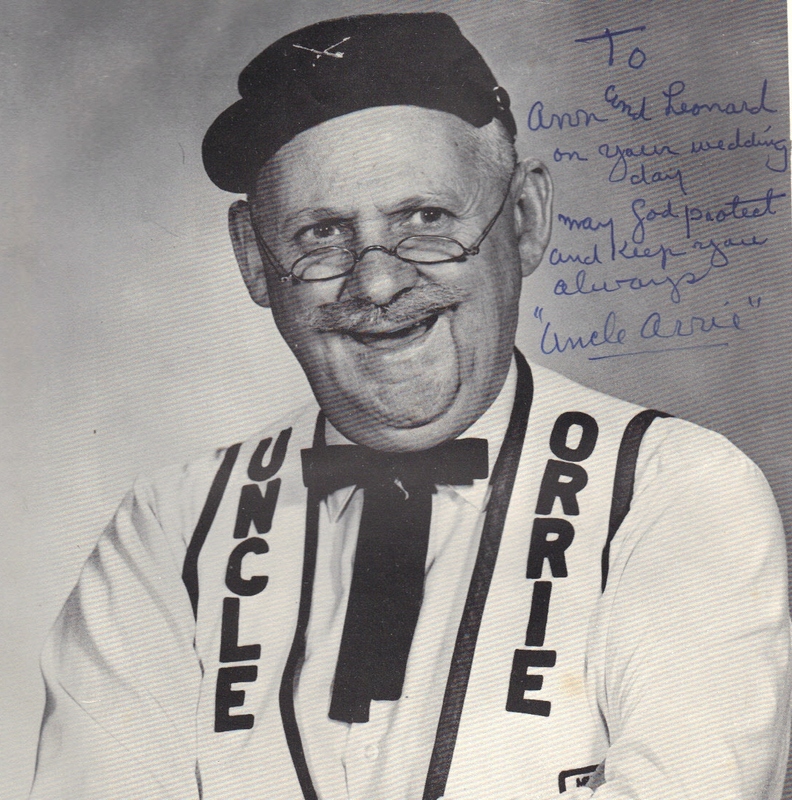 In Dayton, Ohio, until I was about ten, the afternoon brought Uncle Orrie with sidekick Ferdie Fusbudget. Then there was Clubhouse 22 with the ultra cool Malcolm and sidekick Duffy the Dog. To be honest I will say that I remember watching these programs, but I do not recall what exactly, I “learned” from them. I learned to appreciated the nuanced differences between the cartoons directed by Friz Freling and those directed by Chuck Jones or Robert McKimson. I learned about french from watching Peppe Le Pew. I learned about directions from Yosemtei Sam, the toughest, root’nest, toot’nest, fastest gun-slinger north, south, east or west of the Pecos. I learned about the importance of using the proper pronoun from Daffy Duck (“Rabbit Seasoning”). Wile E. Coyote taught me that if at first you don’t succeed to try, try again, although I am not sure that ever seemed to do him any good. Education television may sound like an oxymoron, but I think Bugs Bunny would say it was an oxy-maroon! This entry was posted in Humor and tagged cartoons, Children's Television, nostalgia on January 27, 2015 by Leonard. Happy Friday! Congratulations, you have survived the first month of winter! To celebrate, here are three jokes chosen especially for you. The other day I was walking by an arcade and it occurred to me that I had not been in an arcade for quite some time. I went inside and as I was looking around I noticed a “Lord of the Rings” pinball game. I used to enjoy an occasional game of pinball and I like the “Lord of the Rings”, so I thought “why not?” I usually do not carry much change, but I checked my pockets and was quite pleased when I discovered three shiny quarters, so I figured I was all set. Well you can imagine my disappointment when I approached the machine only to discover that my quartets were of no use, this machine did not accept quarters, only Tolkens. Many years ago there was once a royal baker who had an assistant, named Richard, whose sole job was to pour the dough mixture for making sausage rolls for the royal family who apparently had quite an affinity for sausage. Because people were identified by their professions in that day, this man was simply known as Richard the Pourer. There was once a man who was very happily married, he had only one complaint about his wife: she was always nursing sick birds. One very cold February evening, he came home from a hard day at work only to find a raven with a splint on its wing sitting in his favorite chair. He went to the dining room and there on the dining room table, instead of dinner, there was a feverish eagle very deliberately pecking at an aspirin. 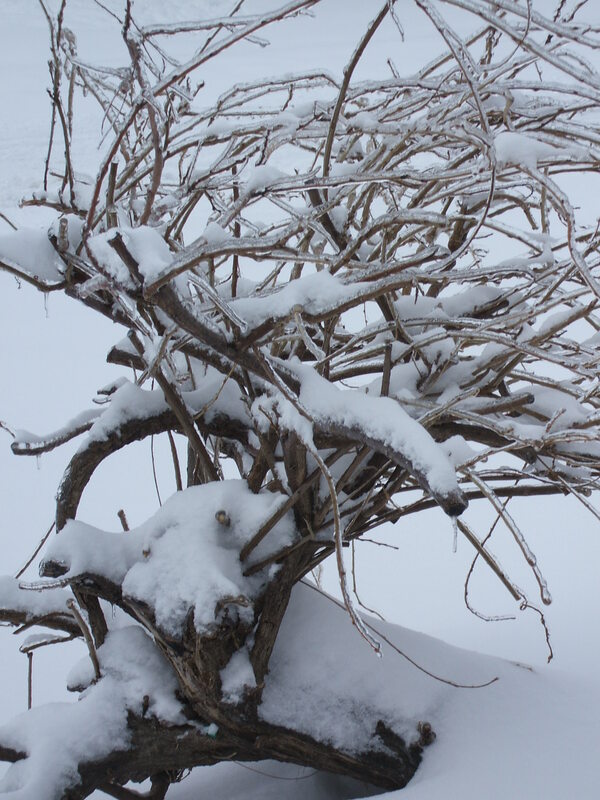 On he went to the kitchen and there he found his wife comforting a shivering little wren she found out in the snow. This entry was posted in Friday Funny, Humor on January 22, 2015 by Leonard. I grew up behind Shiloh Elementary School. 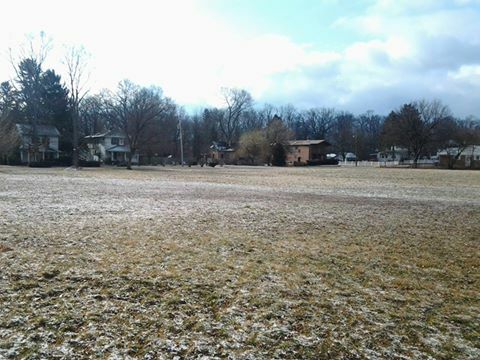 The building which loomed so large as a child is gone, all that remains is an empty lot, my field of dreams. It seems so small now. This was the place were I anxiously walked across the street for my first day of Kindergarten with Mrs. Wilson. This was the building I left after Eight Grade with Mrs. Brower for the intimidating world of high school. I learned how to read and write in the building and I spent a great deal of my free time on the school property as well. There were countless hours playing baseball, basketball and football and dreaming of making it professionally in all three. There was bike racing and bike tag around and around and around the building. This was the place where friendships were developed that have endured to this day. This was where I fell in and out of love a dozen times; although it seems there was one crush that endured for several years. This place holds so many childhood memories. Memories of kickball, volleyball, indoor hockey and, basketball, where I was a seldom used player on a very bad Eighth Grade basketball team. Memories of Field Days and School Carnivals and PTA Lunches of sloppy joes and ice cream sandwiches kept in dry ice. Memories of those special occasions of walking to the drug store on Main Street for lunch, provided one brought a note from home and had fifty cents to spare. Memories of hot chocolate after a cold morning standing watch on the Safety Patrol. Even memories of lugging a violin or cello back and forth to school and to the house next door to the school that served as the instrumental music room for a few years. Sometimes we do not recognize when a significant person has entered our life. I had a lot of very good teachers at Shiloh who have had a great influence on the person I have become. But the person from Shiloh that turned out to have the greatest impact on my life was Mr. Ayres, the custodian. I did not know it while I was attending Shiloh, but Mr. Ayres just so happened to have a daughter who was the same age as I. About two years after I moved on from Shiloh I had the good fortune to met his daughter. We went on a few double dates while in high school, just not with each other. It was during our college years that we began dating and soon after graduation we were married. So for more than thirty years now, I have known Mr. Ayres as my Father-In-Law. Shiloh was indeed a place of memories that still remains a field of dreams. This entry was posted in Humor and tagged Shiloh School Dayton Ohio on January 19, 2015 by Leonard. Happy Friday! We are halfway through this first month of the New Year. As we continue to get settled into this year, I thought I would share some of the signs of living in 2015. 1. You just entered your PIN on the microwave. 2. You have a list of 20 phone numbers to reach your family of five. 3. You have more than five email addresses for yourself. 4. You regularly send email to yourself. 5. You only communicate by Facebook with your friend who works in the adjacent cubicle. 6. Your reason for not staying in touch with friends is that they are not on Facebook or Twitter. 7. You know more about what is going on with Facebook friends you have not seen in twenty or thirty years than you do with your own family. 8. You have scores of “friends” that you have never met personally. 9. If someone asks you for your home phone number, you have to scroll down on your cell phone to find it. 10. If you leave without your cell phone, you go into a panic and wonder how you will make it through the day. 11. You stop to look at something in the store and your spouse keeps going and you call him/her on your cell phone to find out where he/she is. 12. You text your kids to tell them dinner is ready. 14. Your take pictures all the time, but you have no idea where your camera is. 15. Contractors out number permanent staff at work and have been there longer than most of the staff. 16. When you left for your last vacation, between your cell phone, GPS and tablet, you had more computer power than NASA had during the Apollo moon missions. 17. You can’t remember the last time you received a hand-written letter in the mail. 18. Your grandmother asks you to send her a JPEG file of your new-born so she can create a screen saver. 19. You have not looked up a phone number in the phone book for years. 20. You can’t remember your anniversary, but you have committed twenty-seven passwords to memory. 23. You read this entire list, and kept nodding and smiling. 24. As you read this list, you think about posting it on Facebook or re-blogging it. This entry was posted in Friday Funny, Humor and tagged Living in 2015 on January 15, 2015 by Leonard. Perhaps the most prevalent and annoying thing produced by the twenty-first century so far is the “selfie” – that all too commonly shared self-portrait taken with one’s ubiquitous smart phone. Of course the distance with which you could take these pictures was limited by the length of one’s arm. They say necessity is the mother of invention and apparently someone thought there was a “necessity” to increase the distance from which a selfie could be taken and thus was born the latest “must have” accessory, the selfie stick. 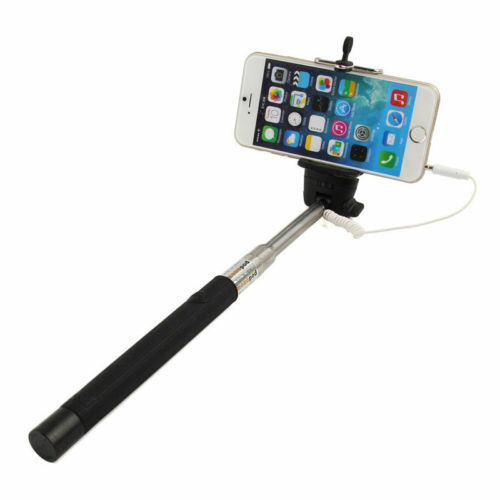 The selfie stick is a metal rod which extends with a handle on one end and a clamp on the other end to hold a phone in place. The more advanced sticks also have Bluetooth controls, thus allowing the user to wait until the picture is perfect before taking. You know who would have really like having a selfie stick? Narcissus. Perhaps you remember him from Greek Mythology. He was that proud and handsome guy that cared for no one but himself. His nemesis, who actually was Nemesis, decided to use Narcissus pride against him and led the unsuspecting lad to a pool where he saw his reflection in the water and fell in love with it, not realizing it was merely an image. Unable to leave the beauty of his reflection, Narcissus was never seen or heard from again. If Narcissus had a selfie stick, he would not have been tied to that reflecting pool. He could have left while taking his beloved image along. He could have gone anywhere and taken pictures of himself. If you saw him today, you probably would not even notice him and his selfie stick among the thousands of self-absorbed folks taking pictures of themselves in any crowd of one or more. He could then take all of those fantastic selfies and share them on social networking sites like Facebook and Twitter so that everyone could see the pictures and comment on how wonderful he looked. He could even develop a blog about all his selfies, where he took them and how to take the perfect selfie. Why, he could manage to be almost as annoying as many people are today. I will admit that I have appeared in a selfie or two myself and I have posted pictures on Facebook and, it would appear, that I blog as well. But I promise to do my best to got get too wrapped up in myself and I promise that I will never buy a selfie stick. I do want to say “thank you” for reading this blog! The last year has been fun and this post is the 100th for the blog. I hope you will keep coming back and please feel free to share this with others, the more the merrier! This entry was posted in Humor and tagged selfie on January 12, 2015 by Leonard. Happy Friday! This first full week of 2015 has brought cold temperatures to many of us. We can’t do anything about the weather, but we can laugh about it. Jack Frost was nipping at his own nose! Hitchhikers were holding up signs with pictures of thumbs! Chickens were lining up at KFC and asking to be put in the pressure cooker! I tried to buy “Icy Hot” but I only found “Icy”! The only things cannibals were eating was a cold shoulder! To help me with me my cold, I had a block of chicken soup! The barbershop was doing a booming business in thermal hairpieces! We went ice-fishing in the bathtub! The winner of the ice sculpture contest was disqualified when it was discovered he WAS the ice sculpture! Kids were telling the most outrageous lies – hoping their pants might catch on fire! It took me two hours to walk one block – my shadow kept freezing to the sidewalk! The lights in my house only come on if I open the door! Every kind of cereal in the cupboard is FROSTED! I saw an Amish man buying an electric blanket! The last time he was seen, Smokey the Bear had grabbed a box of matches and was seen running into the woods! 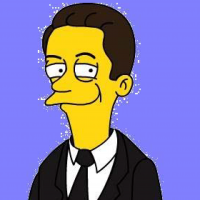 I was shivering more than a mobster at an IRS audit! Apple just introduced the iParka. Politicians were putting their hand in their own pockets! This entry was posted in Friday Funny, Humor and tagged cold on January 8, 2015 by Leonard.